This is informed by an understanding of homelessness as 'home'lessness, not 'roof'lessness. They may lack a sense of security, stability, privacy, safety, and the ability to control living space. Why do women become homeless? 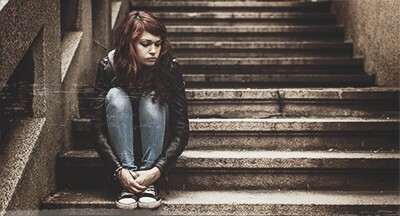 Many factors contribute to a woman becoming homeless, including family violence, lack of affordable housing, job loss and unemployment, lack of social support network, mental illness, physical disability, or substance abuse. Family violence is the num­ber one reason why people present to specialist homeless services, with 68% of HWS clients citing this reason. When should I call Hobart Women’s Shelter? If you are currently sleeping in temporary accommodation (for example, another person’s house, are couch-surfing etc). What happens if I call Hobart Women’s Shelter? A worker will take your details and ask questions about your current circumstances. They may suggest other services you can call if you need accommodation immediately. Otherwise, they will call you back if suitable accommodation at the shelter becomes available. If we can accommodate you, we will do a risk assessment over the phone and ask you to come into HWS for intake. A support worker will explain rent, support available and the conditions of your stay, which will be up to 6 weeks. Support workers can help you access and get referrals to secure longer-term housing, legal, physical and mental health, education (mothers and children) and/or employment, parenting support/child protection support, psychology and/or counselling , emergency relief (storage, food, clothing, furniture etc) and transport to property viewings and appointments. Staff are available 9am-5pm and on-call if urgent. How does Hobart Women’s Shelter make decisions about who to prioritise for accommodation? Unfortunately, requests for accommodation far exceed availability. 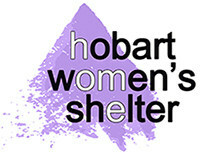 Hobart Women’s Shelter has 11 properties of different sizes in different locations. We match women and children with houses, taking into consideration their suitability for available properties (number of children, transport options and safety) and current need. We don’t have a list that you move up as time progresses.